One of the many Byzantine churches I was particularly excited to see in Istanbul was the Church of the Theotokos Pammakaristos, or simply Pammakaristos Church, which means something like “all holy.” Theotokos means “God-bearer,” or less literally “the mother of God.” I am told that the former, more literal translation is more theologically acceptable, but I am to this day uncertain why. I have also grown to accept that I will understand very little when it comes to theological minutiae. Remember it, perhaps, but not understand it. Pammakaristos is somewhat out of the way of the major sites of the old city, but not so far that it couldn’t be done on foot. And that was the problem we had when visiting Pammakaristos – it was done on foot. 30 mile per hour winds shut down the Golden Horn ferry from Eminönü, so we ended up walking, partly for lack of a backup plan, and partly because I didn’t think it looked that far on the map. This might have otherwise been a pleasant walk but for the evil weather, and I know that Michelle particularly didn’t enjoy having to constantly hold her skirt against the wind – fine for a few blocks perhaps, but not so much for a few miles. 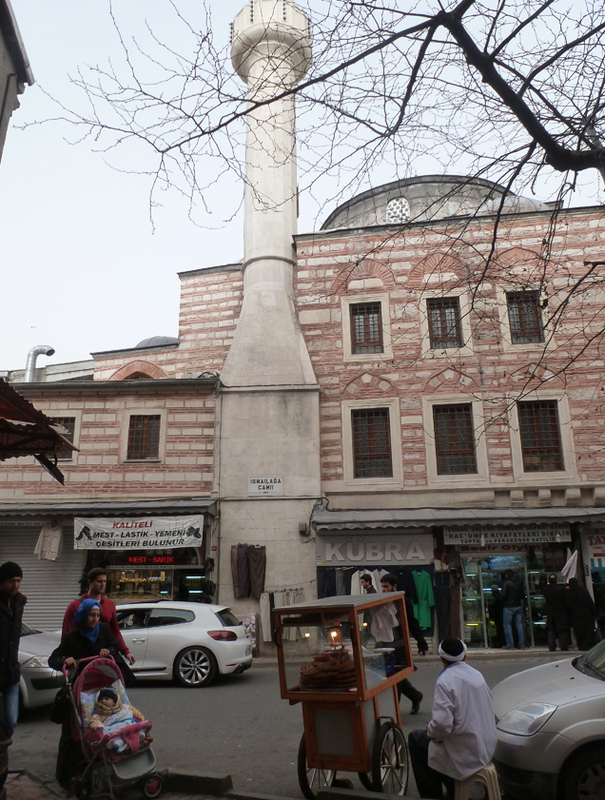 Then I compounded the trouble by taking a quick detour to the Church of St. Theodosia (now Gül Camii), of which I will write more later, that necessitated a curvilinear route to Pammakaristos through some of the least-welcoming neighborhoods of Fatih. Not that I knew that going in. However, if I had known that, I would never have walked that way, and I absolutely would never have taken Michelle. Turns out we went through a neighborhood called İsmailağa, which belongs to an Islamist sect. No, not Islamic. Islamist. We would have stood out less walking through Compton while wearing all red. So to Michelle and her family, I apologize. At least we won’t have to go back. Having made it through that terrible neighborhood intact, we finally made it to Pammakaristos, which I think is a beautiful example of late Byzantine architecture. There is agreement that it was built in the 11th century; however, some attribu te the church to Michael VII Doukas while others to Ioannes Komnenos, the father of Alexios I Komnenos. Both theories would place the church’s structure somewhere in the late 11th century, perhaps in the 1070s. 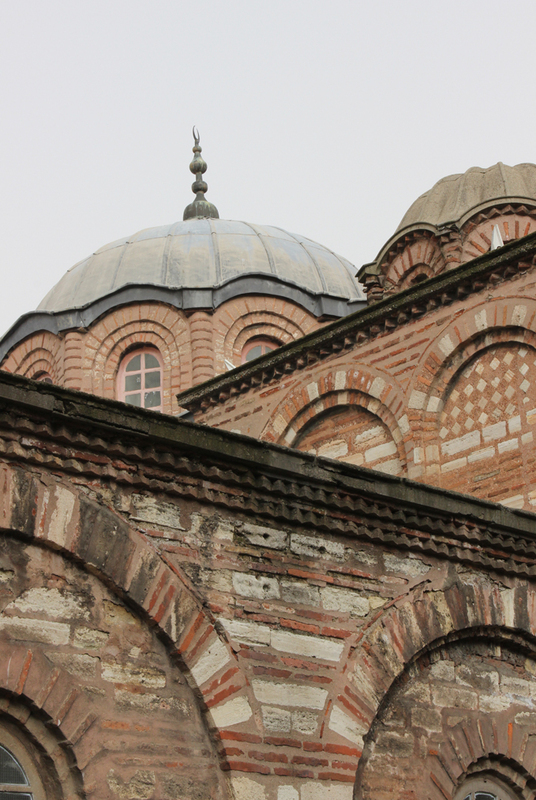 The building itself was a church before and after the fall of Constantinople. After the fall, however, it took on a more prominent role as the seat of the Greek Orthodox Patriarchate. The seat of the patriarchate was at the Church of the Holy Apostles immediately after the fall of the city. That church is now sadly gone, and along with it the sarcophagi of many, many notable Byzantines, including Constantine the Great. 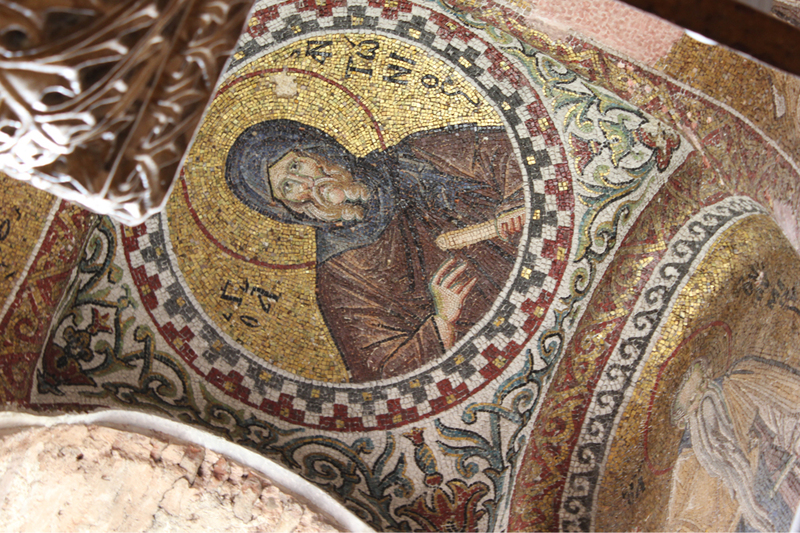 Some of these remnants found their way to the Istanbul Archaeological Museums, including Constantine’s porphyry tomb, but the Holy Apostles was long since demolished and the site occupied by the Fatih Mosque. In any case, the seat of the patriarchate was at Holy Apostles for a few years until the patriarch decided that the church was too dilapidated and moved it to Pammakaristos. It remained at Pammakaristos until 1587, and in 1591 Pammakaristos was converted into a mosque. 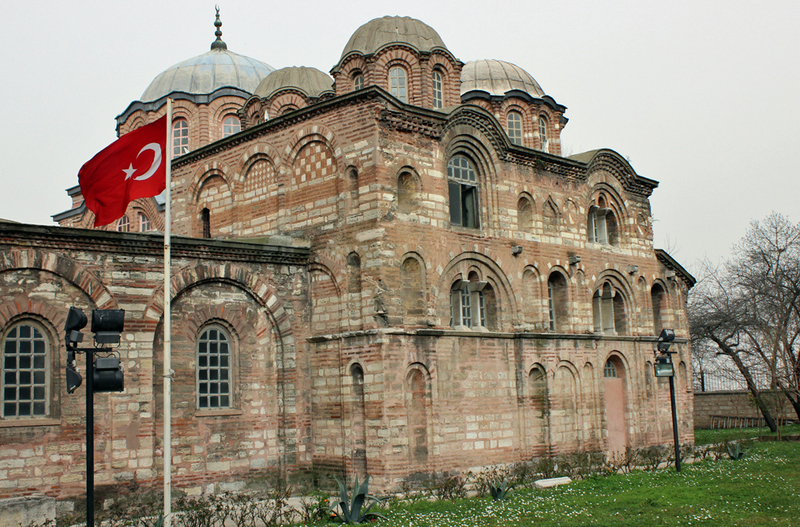 If you are looking for it on a map today, you should look for Fethiye Camii or Fethiye Müzesi. What is there to see at Pammakaristos? Aside from the late Byzantine architecture and the beautiful recessed brick masonry work, visitors to Pammakaristos must see the parakklesion. 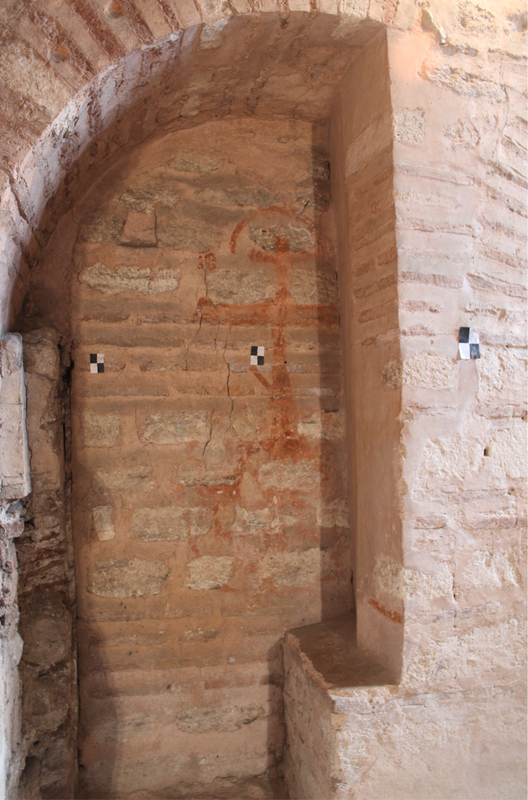 A parakklesion is a side chapel typical of Byzantine-style churches, and this one was added to the structure in the 14th century and dedicated to Christos ho logos. The rest of the church was drastically altered when converted into a mosque, but the parakklesion remains, and it was restored in the 1940s. This meant that the mosaic work, covered by the naturally iconoclastic Muslims, was uncovered again. If you look hard enough, you can still see behind a few cracked walls where some mosaics had been bricked over. You can also see where some decoration – including a large, red cross – was removed but still left a ghost of a mark. 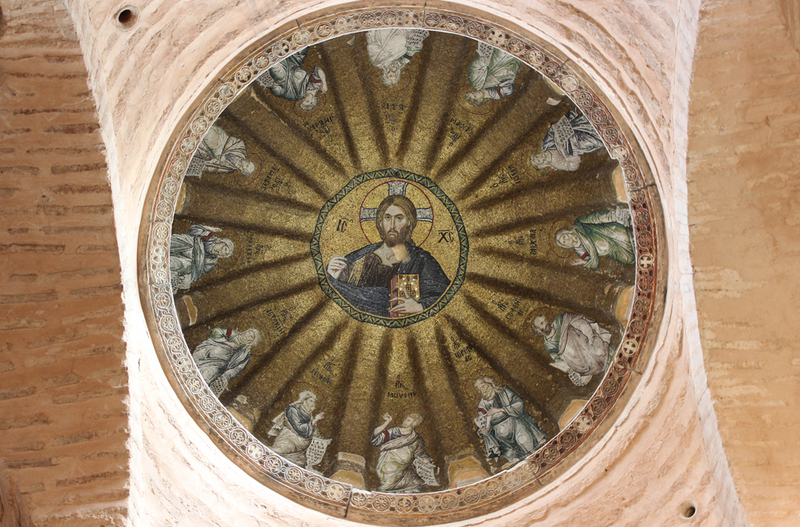 The central dome is of particular interest, including a complete mosaic covering depicting Christ Pantokrator (“ruler of all”) and the prophets of the Hebrew scripture. 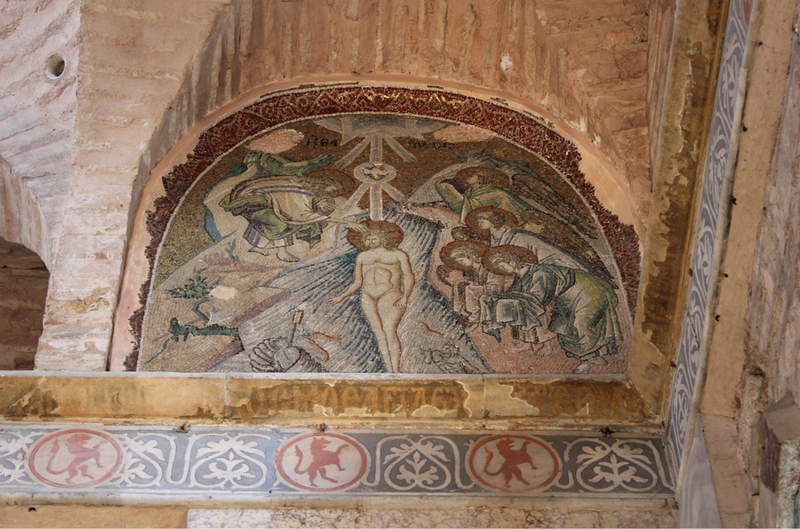 There are plenty of other beautiful mosaics to see as well, including a depiction of the baptism of Jesus from what looks like the Gospel of Mark (when God proclaimed “this is my son, in whom I am well pleased”), which I find to be particularly fascinating for its Christological implications. Should I go to Pammakaristos? I am happy to have seen Pammakaristos, but I would urge caution on the part of the visitor. First, you really should avoid İsmailağa. I recommend going west, or northwest, of the church and approaching it from that direction. Absolutely search for İsmail Ağa Camii on Google Maps before you leave, and avoid the area around it. Chances are you’d be fine walking through there, like we were, but I haven’t felt so unwelcome in a long time. Second, have a transportation backup plan. We planned to take the Haliç Hattı to Fener and walk south. Not a bad plan, but when the ferryboats are canceled, you’ll need another strategy that doesn’t involve blindly blustering through whichever neighborhood is in the way. You can take buses up and down Fevzi Paşa Caddesi, but again, go past İsmailağa and double back. And finally, dress appropriately. No matter what you’ll be going through fairly conservative neighborhoods, so cover up reasonably. Oh, and don’t take pictures of the women in that neighborhood. Not that they would let you, but don’t try. It wouldn’t be appreciated. In any event, if you have the time, Pammakaristos is worth the visit, as long as the visit is done right. On the other hand, I would not prioritize it over a place like Chora, for example. If you don’t make it, I at least hope you’ll enjoy the pictures.